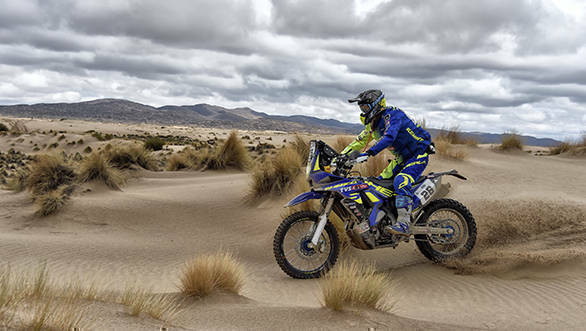 Sherco TVS Rally Team rider Juan Pedrero Garcia continued his impressive performance at Dakar 2017 by moving up three places in the overall standings at the end of the gruelling Stage 7. Garcia was placed 19th at the end of Stage 7, managing to clock 2hr 20min 26sec in the timed section. 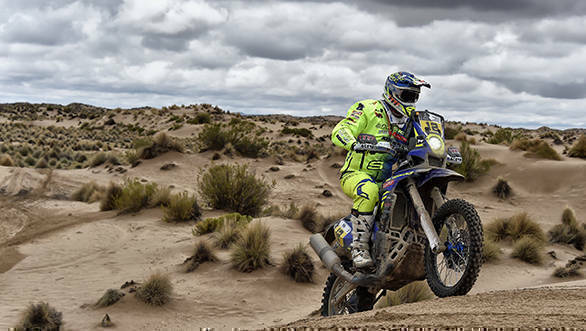 Garcia was at the 25th position at the end of Stage 5 and is now placed 22nd overall. Adrien Metge put up a strong performance on Stage 7, finishing the stage in 12th position. Metge posted a time of 2hr 15min 10sec in the competitive section of the stage. The result also saw him move up to 41st in the overall ranking. The Stage 7 of Dakar 2017 was modified on account of inclement weather, and besides the challenge of sticking to the revised roadbook, riders had to conserve their motorcycles since this was a marathon stage, which meant no access to service crews till the end. Stage 8 will be one of the longest at 892km of which 492km will comprise of the timed section.